A number of presentations will be delivered by HERC researchers at the forthcoming iHEA conference taking place in Boston, USA, 8-11 July 2017. Read More. 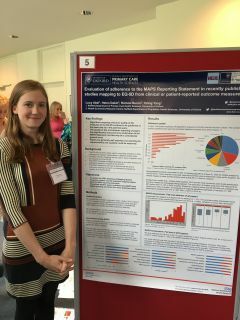 Nuffield Department of Primary Care Health Sciences and HERC researchers presenting an update to the HERC Mapping Studies Database at 2017 PROMs Conference hosted by University of Oxford today. HERC Newsletter - Issue 19 OUT NOW! 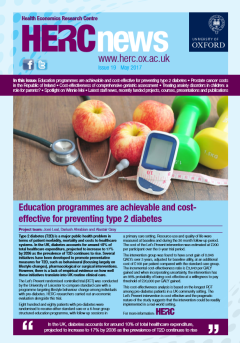 The May 2017 edition of the HERC newsletter is now available to view online HERE. A Community-Based intervention for Malaria Diagnosis and Management improves malaria care and reduces households’ healthcare costs. In a large study, supported by UNICEF/UNDP/World Bank/WHO Special Programme for Research & Training in Tropical Diseases, World Health Organization, the provision of malaria diagnosis and treatment for children under 5 via trained voluntary community health workers in Burkina Faso, Nigeria and Uganda improved malaria case management and also reduced household costs for healthcare. Borislava Mihaylova, a senior health economist at HERC, contributed to the components of the study evaluating the time committed by community health workers and the impact of the intervention on private household costs. The study reported that during the study the community health workers spent up to an hour and a half daily on child healthcare in their communities with the household’s costs for healthcare more than halved. These data are informative of the value of community interventions in resource limited settings. The conclusion of a recent HERC study found that Cholesterol- and blood pressure-lowering drugs are underused in secondary cardiovascular prevention across Europe with substantial drug discontinuation over time and with increasing duration from an acute cardiovascular event. Background: Suboptimal use of cardiovascular prevention medications has been reported. We report recent trends in secondary cardiovascular disease prevention drug use in Europe. Design: We used the 2004-2013 data from the Survey of Health, Ageing and Retirement in Europe (SHARE), a large longitudinal cohort study in middle-aged and elderly Europeans. Methods: Cross-sectional and panel data logistic regression models were used to study trends in cholesterol- and blood pressure-lowering drug use and effects of participant characteristics on the likelihood of drug use among participants with histoty of cardiovascular disease in SHARE. Results: In SHARE 21,388 participants reported history of cardiovascular disease and provided data on cholesterol- and blood pressure-lowering drug use. At initial report, 40% and 60% of them used cholesterol- or blood pressure-lowering drugs, respectively. Increasing cross-sectional time trends were observed for both medication classes (odds ratios of use in 2013 vs. 2004, 1.6 (95% confidence interval 1.4–1.7) and 1.5 (1.4–1.6), respectively). However, among participants with multiple observations, the use of both classes declined over time (2013 vs. 2004 odds ratio 0.63 (0.51–0.77) and 0.68 (0.55–0.84), respectively; both trend p < 0.001), and with increasing duration since last cardiovascular event (odds ratio 0.74 (0.60–0.91), trend p = 0.01 and odds ratio 0.82 (0.66–1.03), trend p = 0.06, respectively for durations of nine years or more versus less than one year). Among people with history of cardiovascular disease, those obese, retired or with hypercholesterolaemia, hypertension, worse self-perceived health, and, in the case of lipid-lowering medication, with diabetes, were more likely to use these medications. Conclusions: Despite moderately increasing cross-sectional time trends, the use of secondary cardiovascular disease prevention drugs remains low in Europe with substantial discontinuation over time and with increasing duration from an acute cardiovascular event. In June 2015 it was announced that HERC Senior Researcher, Dr Sarah Wordsworth, will be leading the new health economics clinical interpretation partnership (GeCIP) established by Genomics England as part of the 100,000 Genomes Project. This represents a collaboration between health economists at HERC (Dr James Buchanan), the University of Manchester (Professor Katherine Payne), the University of Leeds (Dr Gurdeep Sagoo), and a number of other health economists both in the UK and around the world. Full details of this initiative are now available here, including information about the different subdomains and planned future activities. You can also apply to become a member of this GeCIP, provided that you meet the relevant criteria. 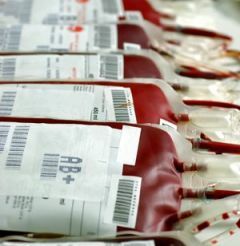 A paper published in Circulation: Cardiovascular Quality and Outcomes has reported that extended-release niacin with laropiprant did not significantly reduce the risk of major vascular events and increased the risk of serious adverse events in Heart Protection Study 2-Treatment of HDL to Reduce the Incidence of Vascular Events (HPS2-THRIVE), but its net effects on health and healthcare costs are unknown. Researchers from HERC (Seamus Kent, Alastair Gray and Borislava Mihaylova) and CTSU concluded that in HPS2-THRIVE, the addition of extended-release niacin–laropiprant to statin-based therapy reduced quality of life–adjusted survival and increased hospital costs. Reliable estimates of the impacts of categories of adverse events on health and healthcare costs are needed to evaluate the net effects of health interventions. The estimates of the quality of life and cost impacts of adverse events derived from HPS2-THRIVE data are now available for use in other analyses of effects of interventions in secondary cardiovascular disease populations. To assist such efforts, see the downloadable calculator at http://www.herc.ox.ac.uk/downloads/supportingmaterial. 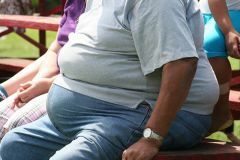 HERC in the news - Bariatric surgery is cost effective for people with severe obesity! A number of HERC researchers attended the biannual Health Economists' Study Group (HESG) meeting which was hosted by the University of Manchester on the 6-8 January 2016. At the HESG Meeting, L-R Alastair Gray, James Buchanan, Jacqui Murphy, Seamus Kent, Filipa Landeiro, Yaling Yang, Laurence Roope. 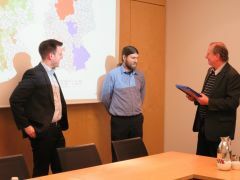 HERC researcher, Peter Eibich's paper titled Examining the structure of spatial health effects in Germany using Hierarchical Bayes Models was one of two papers that were awarded the “Regional Health Research” Scientific Prize by the Central Research Institute of Ambulatory Health Care in Germany (Zi). The prize comes with €2,500. Peter presented the paper in Berlin on the 26th November. A short summary of the research will be published in German here on the15th December, when there will also be a press release. A one-day health economics workshop was held on Wednesday 20th January 2016 at the Wellcome Trust in London as part of the Genomics England 100,000 Genomes Project. This workshop was aimed at both health economists and non-economists, and provided an overview of the planned programme of work and opportunities for collaboration on genomics projects going forward. 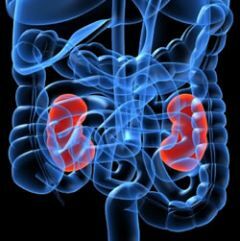 A new publication by HERC reports the cost-effectiveness results of simvastatin plus ezetimibe for cardiovascular prevention in Chronic Kidney disease (CKD) using data of the Study of Heart and Renal Protection (SHARP). The key result is that while simvastatin plus ezetimibe prevented major atherosclerotic events in SHARP, other less costly statin regimens are cost-effective for reducing cardiovascular risk in CKD. Version 4.0 is now available, which is based on updated searches and includes 23 new mapping studies, bringing the total of studies in the database up to 127. New HERC research on the effect of retirement on health was presented on the 26th August in Mannheim, at the Congress of the European Economic Association. 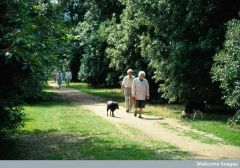 Looking at data from more than 10,000 households in Germany, HERC researchers found that retirement improves health. The effect is caused by longer sleep, more frequent exercise and less stress. The study will be published in the Journal of Health Economics and has been covered by The Independent and by theMark Forrest Show, BBC local radio, on 27th August 2015. HERC researchers have helped develop new reporting guidelines for studies mapping onto generic preference-based measures. 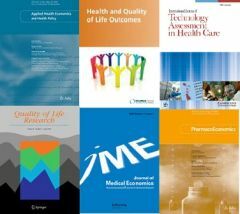 The reporting statement has been published in seven journals, with an explanation and elaboration document in Pharmacoeconomics. HERC Senior Researcher, Dr Sarah Wordsworth will be leading the new health economics clinical interpretation partnership established by Genomics England as part of the 100,000 Genomes Project. This represents a collaboration between health economists at HERC, the University of Manchester, the PHG Foundation in Cambridge, and a number of other health economists both in the UK and around the world. New HERC research on the costs associated with hip fractures was presented in Milan, 29 March 2015 at the World Congress on Osteoporosis, Osteoarthritis and Musculoskeletal Diseases. The results of this study indicate that hip fractures account for an estimated £1.1 billion in hospital costs annually in the UK, and these costs are expected to increase dramatically as the population ages. Lead author, Dr. Jose Leal said: "The impact of hip fractures is very significant. 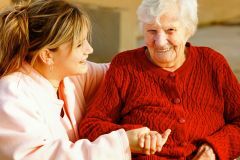 The UK population is ageing and unless action is taken to prioritize fracture prevention, the cost of treating fractures in the senior population will continue to rise dramatically in the future. To reduce the costs of fractures we need to identify and invest in cost-effective approaches and incentives aimed at preventing avoidable fractures and improving the quality of life in these elderly populations. Fracture liaison services in hospitals and clinics have been shown to be a way forward as approximately half of the patients who are treated in hospital for hip fracture - the most costly, serious and even life-threatening type of fractures - have had a previous fracture of some kind. That first fracture was a ‘warning’ that should have triggered testing and treatment." Dr Sarah Wordsworth and Elizabeth Stokes are co-authors on trial results published in the New England Journal of Medicine.